Perched on the edge of Manitoba – land of polar bears and beluga whales, stunning natural landscapes, and vibrant cities that effortlessly blend the past and the present – the elegant structure of the Fort Garry Hotel has welcomed guests to the capital city of Winnipeg since 1913. The hotel sweeps visitors back to an age of elegance, offering travelers respite from the rush and bustle of the modern world in beautifully appointed guest rooms, ballrooms, and a luxury spa. But, even in the most refined and inviting accommodations, the guest experience can benefit from innovative new connected hotel technology that helps improve comfort while also reducing costs and increasing efficiency. While the historical authenticity of Fort Garry Hotel is undeniably charming, its antique architecture and outdated energy systems posed some very real problems, both for the hotel guests and for the hotel’s independent owner/operators, Richard Bel and Ida Albo. Though their collaboration with Schneider Electric and its partner, BARCOL Controls, Bel and Albo hoped to leverage hotel technology to improve operational efficiency and reduce labor costs, all while avoiding any disruption to guest services. 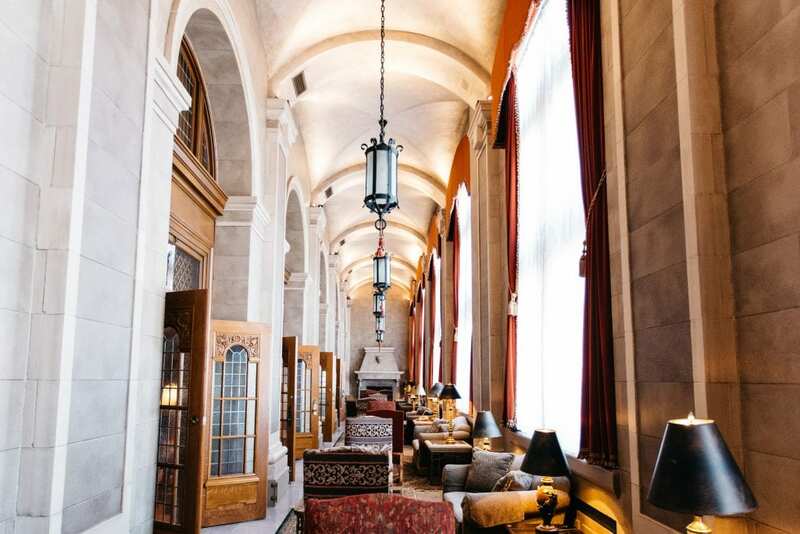 As is the case with any complex undertaking, the first step in transforming the Fort Garry hotel into a “connected hotel,” was for the Schneider/BARCOL team to become intimately familiar with the building, operations, and the specific challenges facing the hotel’s staff. In addition to the problem of the decades-old HVAC system, the historical nature of the overall structure introduced another layer of challenges and considerations to the project. Once the team had fully assimilated all the relevant information, they developed a solution based on Schneider Electric’s EcoStruxure™ technology platform which they then successfully implemented over time with little if any system downtime or disruption to guest services. The project included several phases, beginning with the installation of building management controls to air-handling systems for the main lobby and some of the ballrooms. The new system provided a better hotel guest experience with improved comfort and reliability while also ensuring that maintenance staff had much greater visibility into system status and were empowered to manage these public spaces with the touch of a button, even from a remote location. Following the initial phase, the team designed and implemented additional solutions for the hotel’s premiere Ten Spa, a lavish environment that includes a variety of special-use spaces such as steam rooms and a Turkish hamam. The systems and devices that the team installed in this area allowed the same level of automation and control despite the additional complications of the spa facilities. 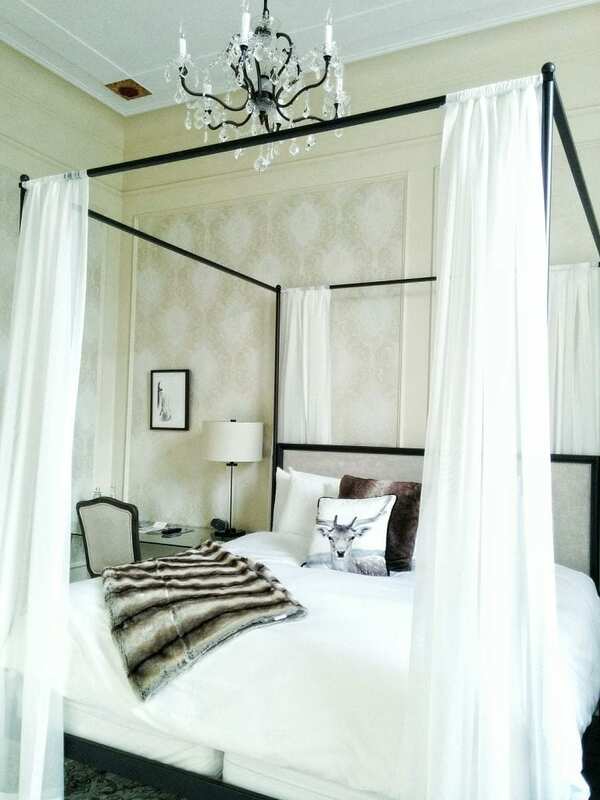 The balance of the project included rolling out additional incremental upgrades for the remaining ballrooms, the guest rooms, and other behind-the-scenes spaces such as kitchens and laundry. Throughout the implementation, the team remained focused on increasing reliability while allowing for maximum adjustability. They also made sure that all the necessary system alarms were in place so that maintenance would always be immediately alerted to any problems. 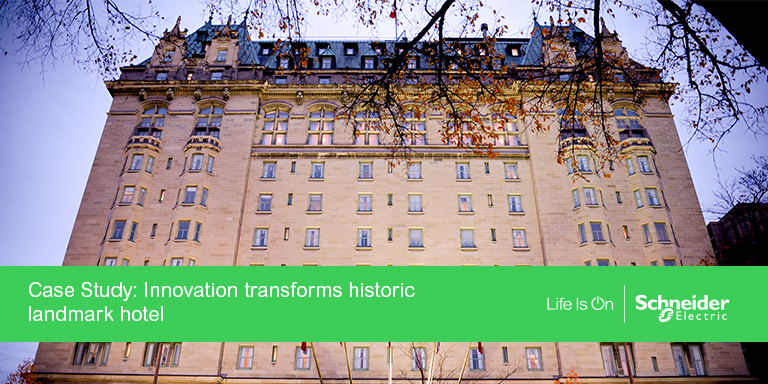 To learn more about this best-of-both-worlds, connected hotel story, read the full Fort Garry Hotel case study, or explore Schneider Electric’s full portfolio of hotel solutions.